Costumes have the power to bring a play to life. By capturing a character’s personality and representing time and place, a costume designer’s role is integral to the success of a performance. In our undergraduate Costume Design & Technology program, ranked in the top 10 costume design schools by The Hollywood Reporter, you will learn how to become a partner in the storytelling. Our educational laboratory encompasses both traditional and emerging fields of entertainment, utilizing coursework, special projects and guest lectures. Students will see their hard work in various fully staged productions in theater, opera, dance and film. You will be able to draw inspiration from our extensive library resources of costumes from various countries and time periods. Our rigorous curriculum will give you the opportunity to gain hands-on experience in all aspects of costume design and costume technology. During the first two years, you will take drawing, rendering, design and technology classes – the building blocks of costuming. Faculty will then review your portfolio to determine which program – Design or Technology – will be the focus of your remaining two years of study. As part of your degree, you also will take liberal arts courses. In the Costume Technology program, you will study advanced level pattern development and construction for live models, both flat patterning and draping. In the production class you will put your skills learned in those classes to task for school productions, holding a variety of job descriptions used in the entertainment industry. Design program students will explore a variety of genres and concepts, as well as budgeting and resource management. You will continue working on production design assignments to support your individual portfolio needs, and work collaboratively with Costume Technology students to produce actualized costumes for school performances. Our Costume Design and Technology graduates enjoy careers as Costume Designers, Drapers, Costume Crafts, Costume Managers, Wardrobe Managers and professors in the field. To see a sampling of their skills, you can visit various Broadway and off-Broadway productions, opera companies, view film and television as well as many other productions within the vast entertainment industry. Dedicated to creating artists, entrepreneurs and leaders. Learn more about the UNCSA Undergraduate and Graduate programs in Costume Design and Technology. 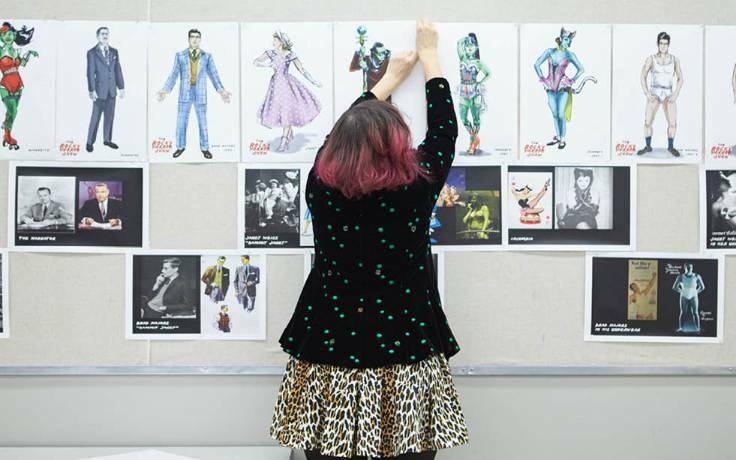 The costume design program at UNCSA is among the top 10 of its kind, according to The Hollywood Reporter. Tony and Emmy Award-winning Design & Production alumnus Paul Tazewell returned to UNCSA as the 2018 University Commencement speaker. 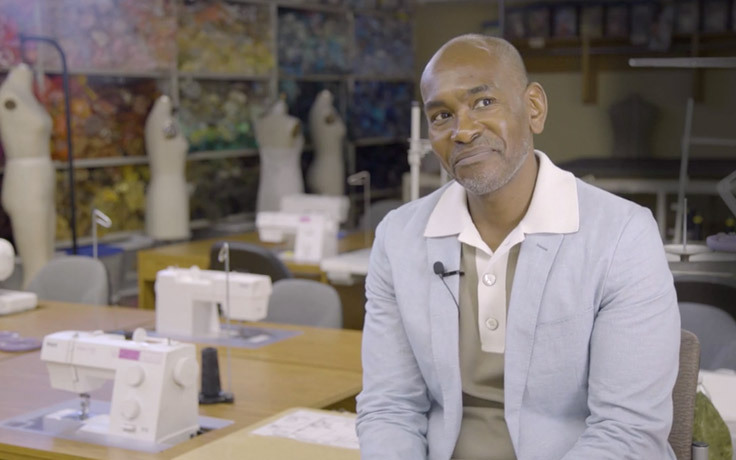 While on campus, he reflected on his formative years as a student in the Costume Design & Technology program. Are you ready to get your freak on? 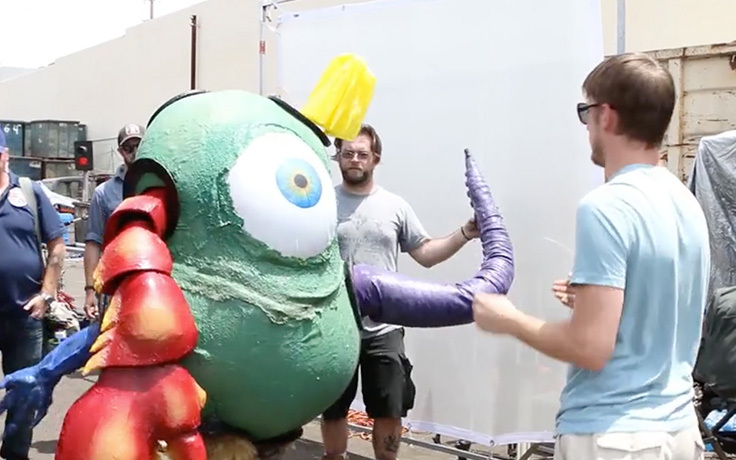 Costume and Wig and Makeup students and faculty worked to bring to life characters for a television pilot, "Freak Fight."